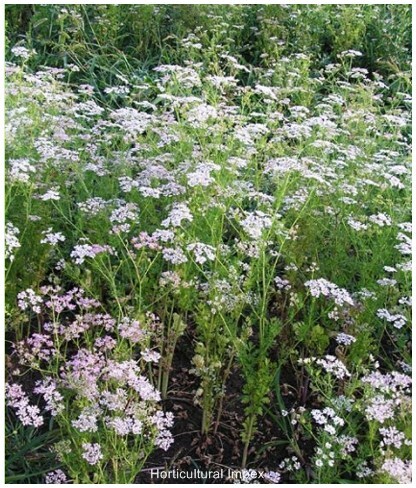 Coriandrum sativum an annual herb, 1-3 feet high, with small, white or pinkish purple showy flowers borne on compound terminal umbels. The lower leaves are broad with crenately lobed margins, while the upper ones are narrow, finely cut with linear lobes. 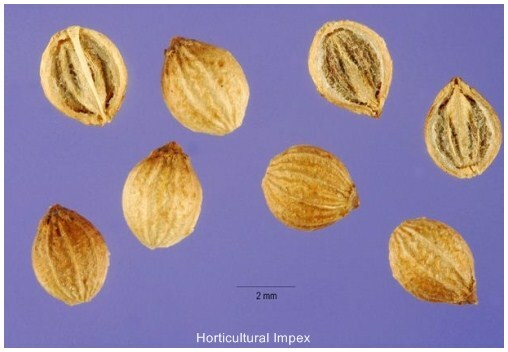 The fruits are globular and ribbed, yellow brown in colour and range in size from 2.0 - 3.3 mm. diam. When pressed they separate into two halves (mericarps), each containing a seed. 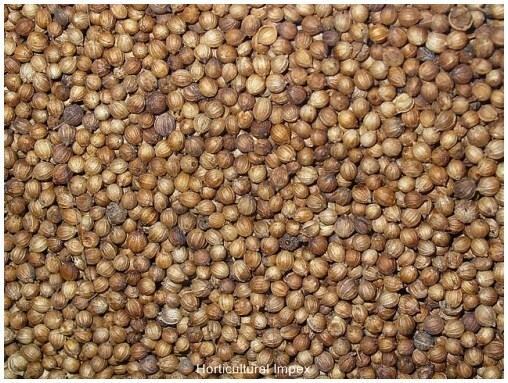 Coriander is a native of the Mediterranean region and is extensively grown in India, Russia, Central Europe, Asia Minor and Morocco. Flowering occurs in June-July. And seeds ripen from Aug.-Sep. the flowers are hermaphrodite and pollinated by seeds. The plant is self-fertile. It can grow in semi shade. It prefers dry and moist soil. It is native to Europe. 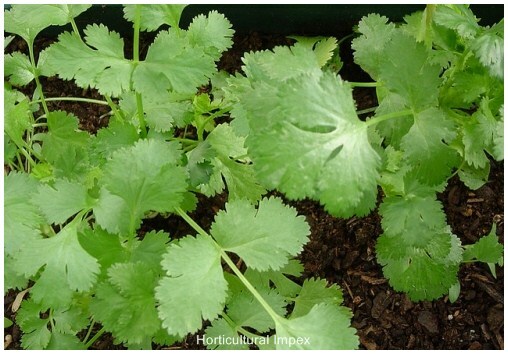 It is used in anti dirrhoeal, appetizer, aromatherapy, aromatic, carminative, expectorant, stimulant, nacrotic.